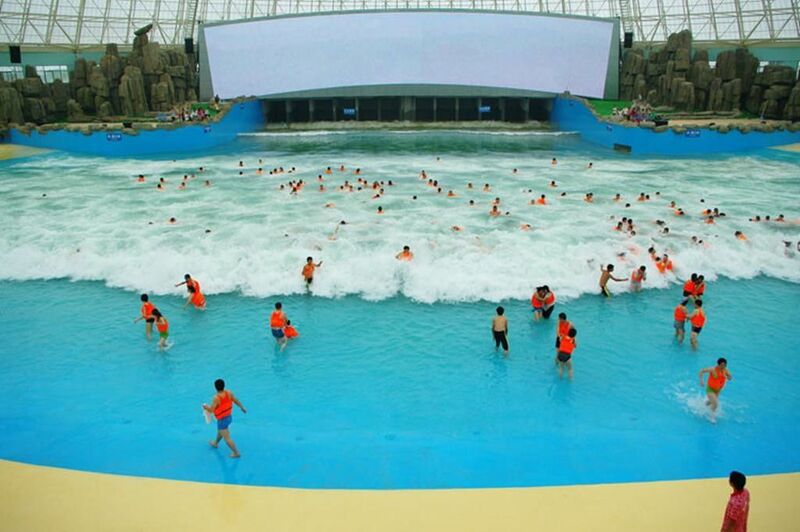 Wave pool is a kind of simulated artificial wave. It creates the mostrealistic wave and makes different experience for visitors.Artificial wave is also divided into vacuum wave generation and pneumatic wave generation,the most popular one is vacuum wave generation. Vacuum wave generation also called tsunami wave generation, using vacuum ejector system to form vacuum,wave be generation with release of vacuum valve.continuous wave with 1.5meter height can be made, and even 3 meter high wave is availadle. 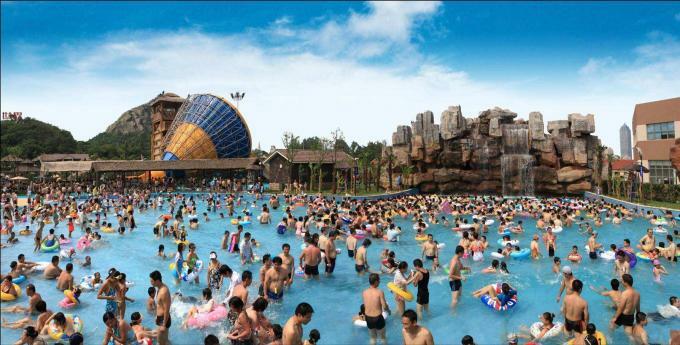 The advantage of wave pool is huge wave will bring the visitors fantastic surfing and beach walking, with slight noise andlow energy consumption, easy management and operation. Remark:the whole set of amusement park equipments include wave machine, Vacuum pump, electric control box, etc.